You may attend as your schedule permits. All are welcome! *Pre-registration is highly encouraged to ensure we have adequate materials and seating. Sliding scale available. No one is turned away for lack of funds. Dorzin Rinpoche—a devoted heart son of HE Garchen Rinpoche—is the resident lama at Dri Thubten Dargye Ling in Singapoe, which is the largest center in HE Garchen Rinpoche’s mandala. He is well loved by dharma students worldwide for his deep kindness, humility, and friendly nature. To read Ven. Dorzin Dhondrup's full biography, click HERE. The Yangzab Dzogchen Treasure Teachings are unique to the Drikung Kagyu lineage. Revealed by Drikung Terton Rinchen Phuntsok as an earth treasure, this extensive array of practices contains great blessings and is very powerful in these degenerate times. Yangzab is extremely profound and swift in achieving the final goal of full realization, or Buddhahood. Padmasambhava foresaw a time when dharma teachings would degenerate due to the increasing power of ignorance and afflictive emotions in the minds of sentient beings. He prophesized that the Yangzab teachings, which he received through Kuntuzangpo (Dharmakaya), the 100 peaceful and wrathful deities (representing the 100 Shitro deities) and the five buddha families (Sambhogakaya), and Garab Dorje (Nirmanakaya), would be most effective in future times of spiritual darkness. 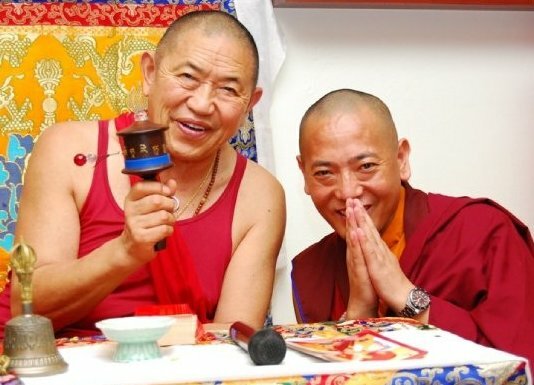 HE Garchen Rinpoche conferred the Yangzab Three Roots empowerment at RigDzin Dharma Center in March 2013, which opened the gateway to the Yangzab Dzogchen Treasure Teaching Cycle. Now, Ven. Dorzin Dhondrup Rinpoche continues the teachings with the Preliminary Practices, or Ngondro, which is Stage One on the Yangzab Path and sets the essential foundation for subsequent Yangzab teachings and higher practices. Dorzin Rinpoche will lead us in a Sang Smoke Offering Puja. This is a great opportunity to make vast offerings to the Three Jewels (Buddha, Dharma and Sangha) and Three Roots (the Lamas, Yidams and Dakinis), enlightened beings, local deities, land guardians and the all beings within the cycle of worldly existence. This blessing accumulates vast merit, clears away obstacles, increases wealth energy and improves health, clears karmic debts and heals the environment. May All Beings Everywhere and Without Exception Benefit!